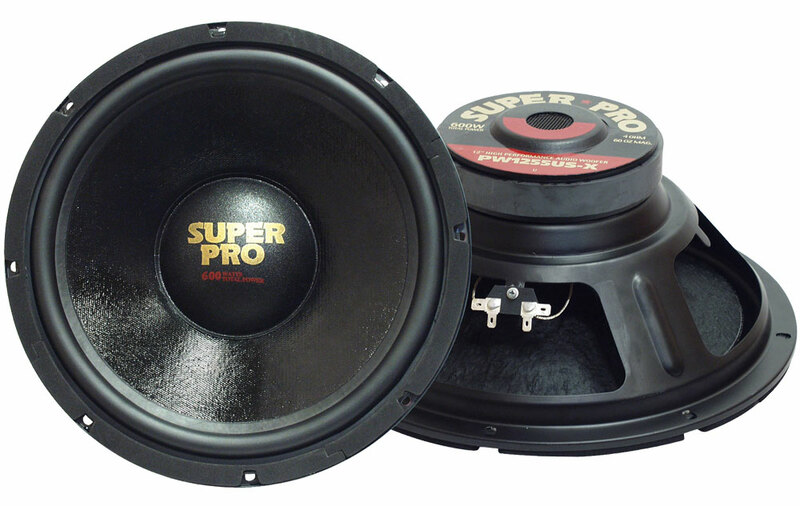 These Pyramid Super Pro Series woofers feature several design elements which make them strong performing bass machines. The Strong non pressed paper cone is tough and light giving excellent bass response. The surround is made from rubber which is non fatiguing and will afford the driver extended excursion which means more bass! A large format ceramic magnet gives the coil power to push against and the heavy duty steel basket gives the the framework they need to pound.